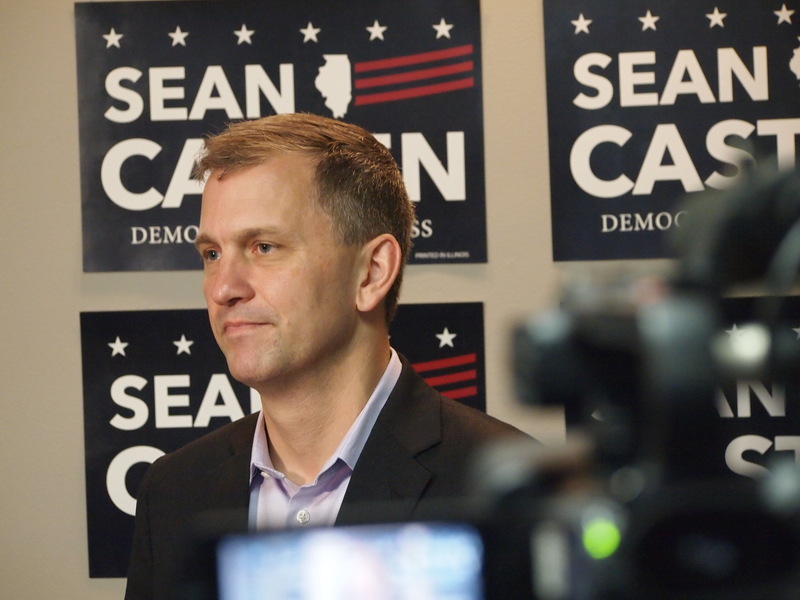 Don’t expect a different Congressman Sean Casten than you got with Candidate Sean Casten. “I am who I am,” Casten said, commenting about Republican mailers during his congressional campaign that questioned his language and demeanor as a candidate. Adopting the title of congressman before his name won’t alter his frankness in addressing issues, Casten said. The businessman and first-time candidate from Downers Grove, who defeated Republican incumbent Peter Roskam of Wheaton in the 6th District Congressional race, said he understands that statements he may have harmlessly made as a CEO now become political fodder because he has a ‘D’ (for Democrat) after his name. The congressman-elect admits he is not always the most polished speaker, but said he will always be open with constituents and peers. Talking with the media Nov. 7, the day after his election to Congress, Casten said he stands behind the investigation into possible collusion between members of the Trump campaign and Russian leaders in the 2016 presidential election. He said Americans want to trust their government is doing the right thing. “If they don’t trust it, we need to make sure we fix whatever is broken so they do,” the congressman-elect said. Casten, whose business career has focused on climate-change issues, most notably reducing greenhouse gas emissions, wants to follow that through on the federal level. He said a prevailing message he got from voters during the campaign is that they want to expand and protect Obamacare. Casten said he hopes to push that forward, but said he will yield to individuals with more political expertise than him to figure out just how to advance the measure with a Republican-controlled U.S. Senate and a president against the issue. 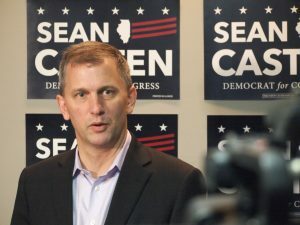 Casten said there “was something in the water” in the 6th District, which includes Cook, DuPage, Kane, Lake and McHenry counties, that caused a groundswell of grass-roots support for his candidacy. “I think a week after the (Democratic) primary we had a thousand people sign up to volunteer and that was there waiting to be exposed,” the congressman-elect said. He vowed to not put politics over policy during his time in Congress. Casten said he thought young people speaking out and calling for action after the Parkland, Fla. school shootings was a big part of the increase in young voters going to the polls. He said he sensed young people’s frustration and desire to take action when meeting with high school students this summer. Casten said he is not one to make many pledges, saying “I don’t know enough about the job to say what I am going to do once I get the job,” but said his pledge to have at least four town hall meetings a year is a promise he is definitely committed to keeping.